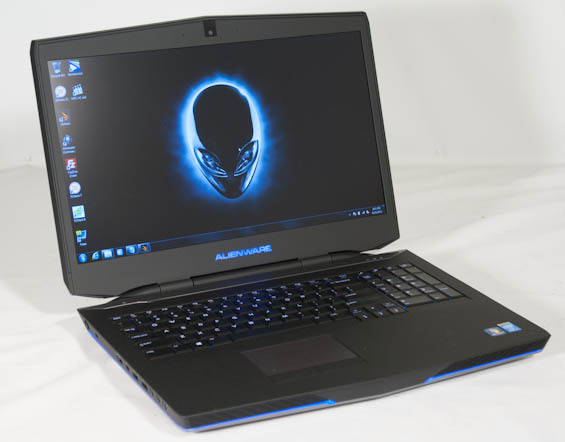 The Alienware M17x R3 and M17x R4 were, at the time, essentially the standard bearers of gaming notebooks. You've had your Clevos and your MSIs for as far back as I can remember; Toshiba throws their hat into the ring with the Qosmio and ASUS has their G series. But if you wanted the best and you were willing to pay top dollar for it, there was really only one vendor to go to. I was such a fan that I even went with an M17x R3 for myself, and though the Sandy Bridge CPU and GTX 580M are a couple of generations behind, they're still kicking and kicking hard. 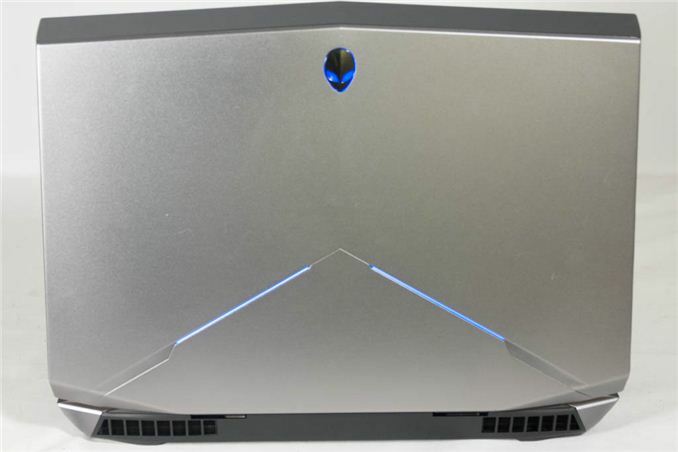 As it turns out, the redesigned chassis and update to Haswell have kept Alienware on top. It's not the redesign I might have necessarily done, but just like the last one, it's something that's a lot more attractive and fun the more time you spend with it. Amidst our continuing issues with Haswell and especially the NVIDIA GeForce GTX 780M, my refrain has been "let's wait for the Alienware 17." Jarred did a good job of sussing out what was going on when he reviewed the Mythlogic Pollux 1613 (Clevo P157SM): the long and short of it seems to be that NVIDIA still has some work to do on the GTX 780M's drivers, and Haswell's mobile quads are roughly as exciting as their desktop parts. Thankfully, the Alienware 17 is such a strong redesign of the chassis that whatever wrinkles there are in the current generation of hardware are made up for by it just plain being even better to use than its predecessor. Dimensions 16.3" x 11.8" x 1.9"
The baseline Alienware 17 enjoys an Intel Core i7-4700MQ with a nominal clock speed of 2.4GHz, an NVIDIA GeForce GTX 765M, 8GB of DDR3L-1600, and 750GB of mechanical storage only; at $1,499 this model is cute but not really worth considering. Unfortunately configuring an Alienware isn't as flexible as it used to be, and as a result if you want any of the good stuff, you have to shell out for the $2,299 top base model and then upgrade that. Our Core i7-4800MQ has a 2.7GHz nominal clock speed and is able to turbo up to as much as 3.7GHz; these are the same clocks as the previous generation Ivy Bridge i7-3820QM, but 100MHz slower than the i7-3840QM. The Ivy chip also had 8MB of L3 cache compared to the i7-4800MQ's 6MB. Haswell, ladies and gentlemen: the progress is palpable. Meanwhile we're taking another run at the NVIDIA GeForce GTX 780M. On paper it's superior to the GTX 680M in every way, but for some reason it's having trouble consistently beating the 680M. This has held true across three notebooks now, and there have been measurable differences in performance between driver sets as NVIDIA continues to update. The 780M features a fully enabled GK104 chip, with 1,536 CUDA cores clocked at a minimum 771GHz and a 256-bit memory bus featuring 4GB of GDDR5 clocked at an impressive (for mobile) 5GHz. The 680M was already the fastest mobile GPU, so even just running comparable to that is fine, but as you'll see, underperforming continues to dog the 780M. In isolated circumstances, Jarred was able to suss out a difference due to the CPU speeds, but only to a point. As for the rest of the Alienware 17, we can get the holy combination of a boot SSD and mechanical storage drive, and every Alienware 17 comes standard with Broadcom's 802.11ac wireless networking solution. One place where Alienware does come up short is the display, though; while the shift to a matte finish is incredibly welcome, both the Alienware 14 and Alienware 18 offer IPS displays while the 17 is only available with 60Hz and 120Hz TN panels. I'm hoping they eventually fill this gap, as I remain fairly confident the 17 is going to be the most popular in their lineup and it seems silly for it not to have an IPS display option.